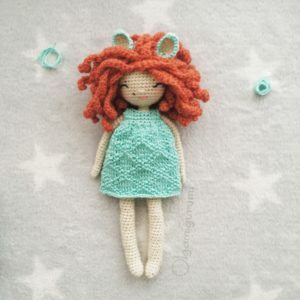 This is a simple knitted dress for my doll Francesca. 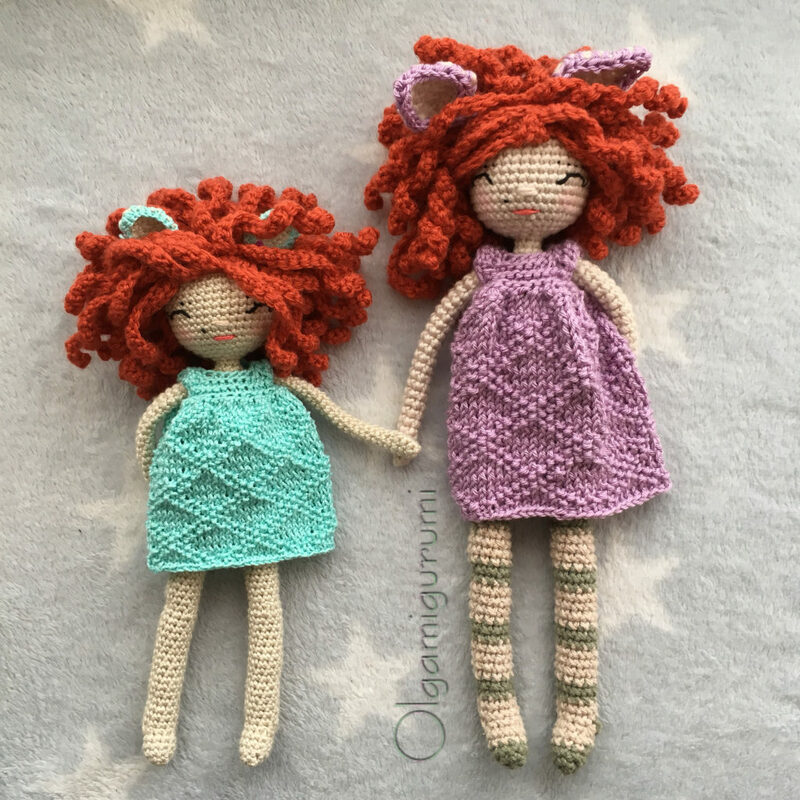 The full crochet pattern of the doll with a dress, a coat, a pair of shoes and a pair of boots is available in my etsy shop. For the doll size 24cm I used needles n.2 and cotton yarn 75gr/311m. 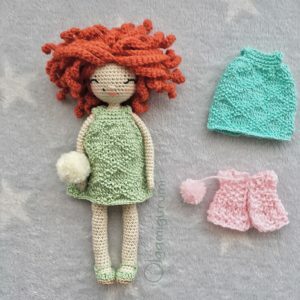 For the doll size 29cm I used needles n.3 and cotton yarn 75gr/165m. Yarn needle for sew the back of the dress. A little button to button up the dress. Sewing needle to sew the button. 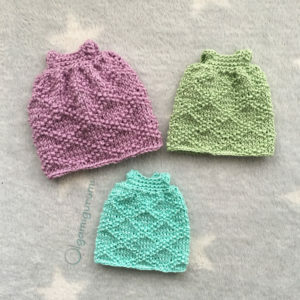 CO 15 sts (for the pattern) + 2 edge sts (Slip the first stitch of every row . Purl the last stitch of every row. They are not included in the numbers of sts). Repeat the pattern 2 times more. Sew the back leaving enough room to put it on the doll. Make a little loop with the yarn tail in the start of the work and sew a little button in the back to button up the dress. Congratulations! The dress is ready! Previous Post: Christmas dress for Francesca.